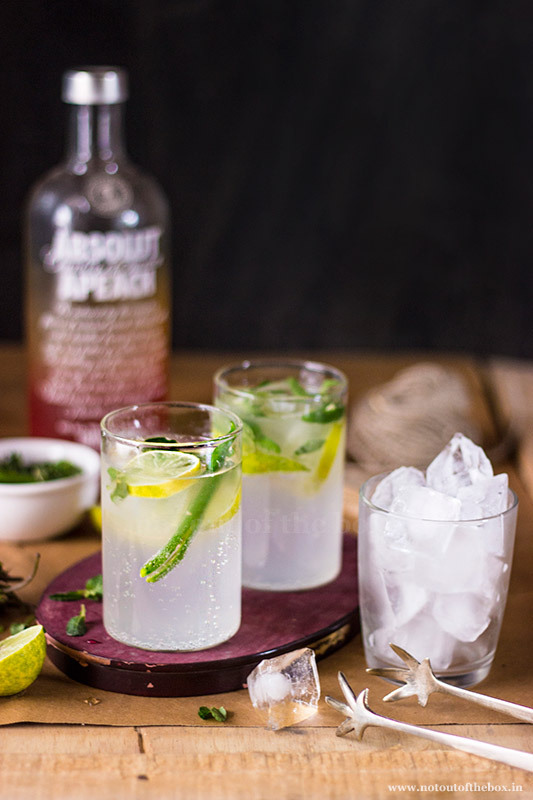 Absolute Délice is a family cocktail recipe which my husband developed when he was a bachelor. Since then it has become a popular choice in the family parties. When I tasted this for the first time I can remember it was the first year of our wedding. That was a lazy winter evening, and he made me drink this cocktail by saying (he was convincing me rather), “just take one sip you wouldn’t regret, this is not bitter trust me”. Well, I didn’t like the bitter taste of alcohol, till then I’ve avoided many liquor varieties just for that bitter thing only. 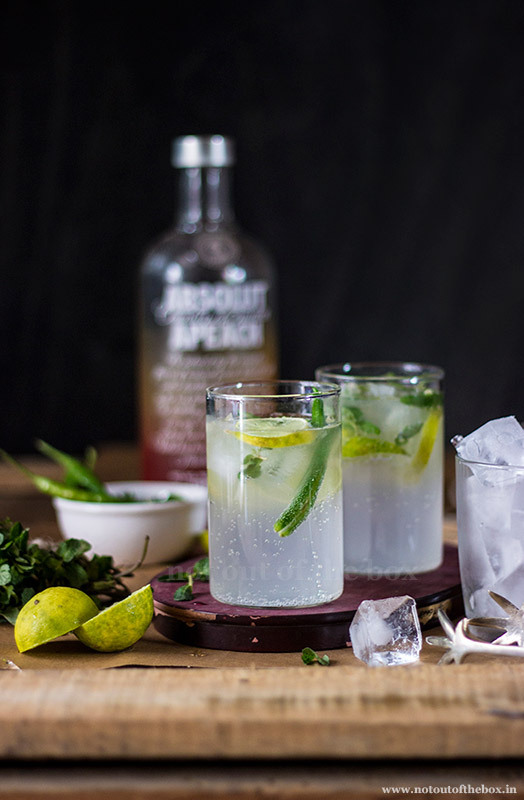 Here the punches of Green chilli, especially the flavour when combined with Vodka and lemonade, make a marriage made in heaven. 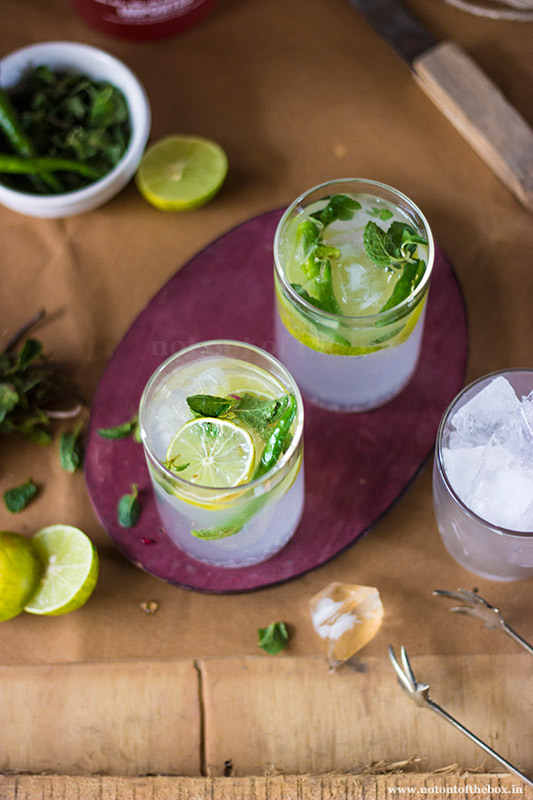 One of our favourite homemade cocktails, this will tantalize the taste buds for sure and will make you drink more! 😉 A must try if you want to experience something different. Below is how we make it. Pour Vodka in a glass. Add Limca or Lemonade into this. Add fresh lemon slices, black salt, slitted green chilies and meant leaves. Give this a good stir. Add water. Top with few ice cubes. Serve immediately. 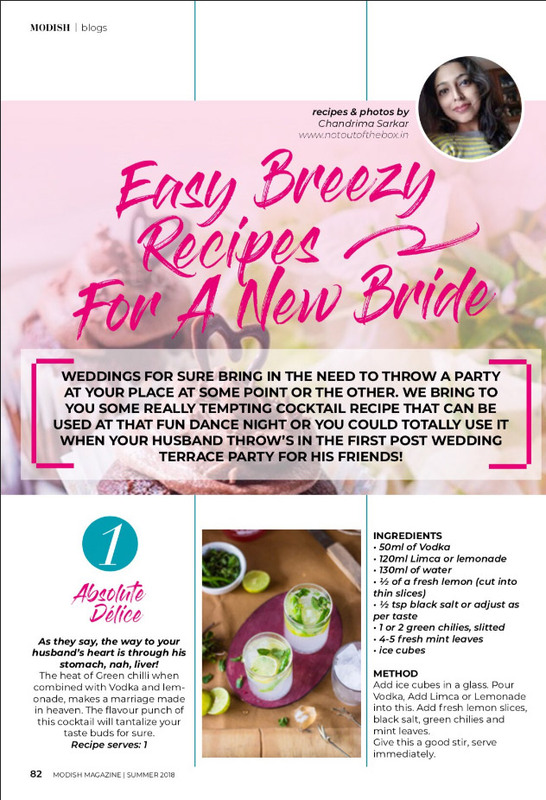 This recipe was published on Modish Magazine‘s Summer issue 2018. This is tempting! I am going try this for sure..